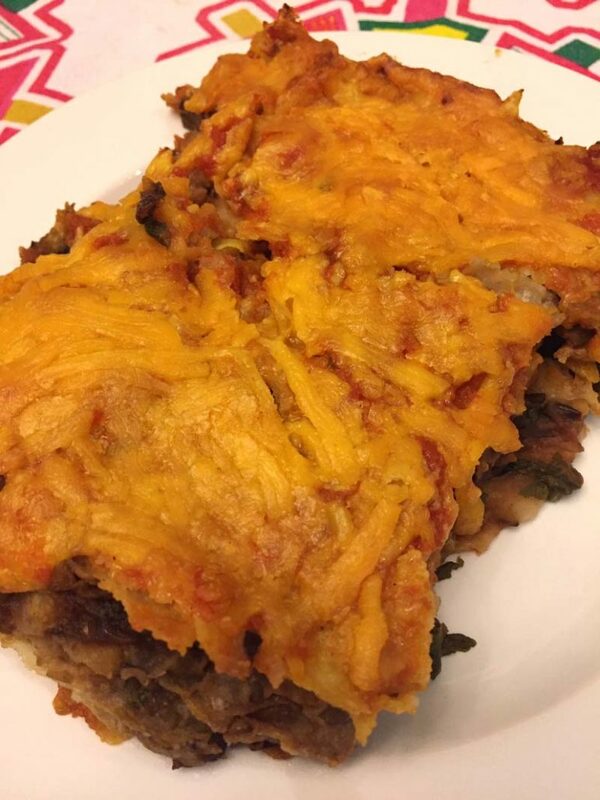 These vegetarian black bean enchiladas are mouthwatering! They taste like the ones in a Mexican restaurant! 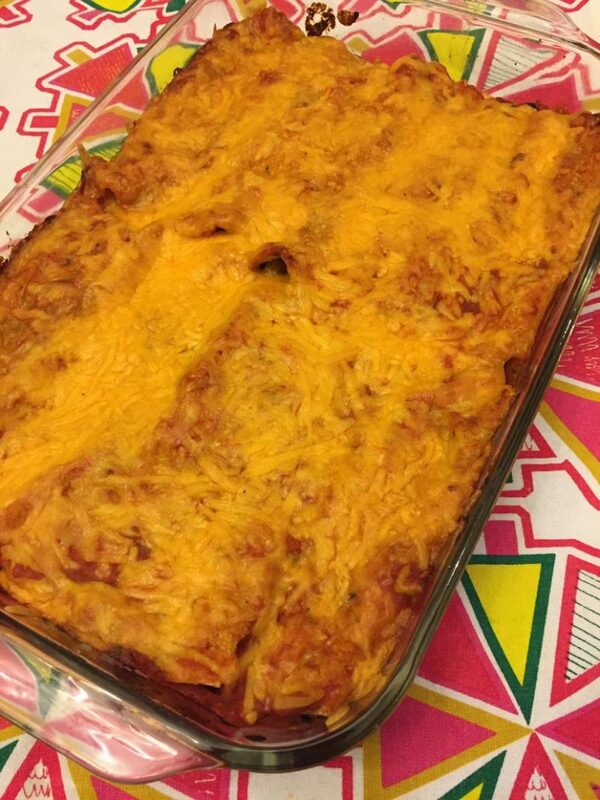 This enchiladas recipe is a great one-dish vegetarian recipe. 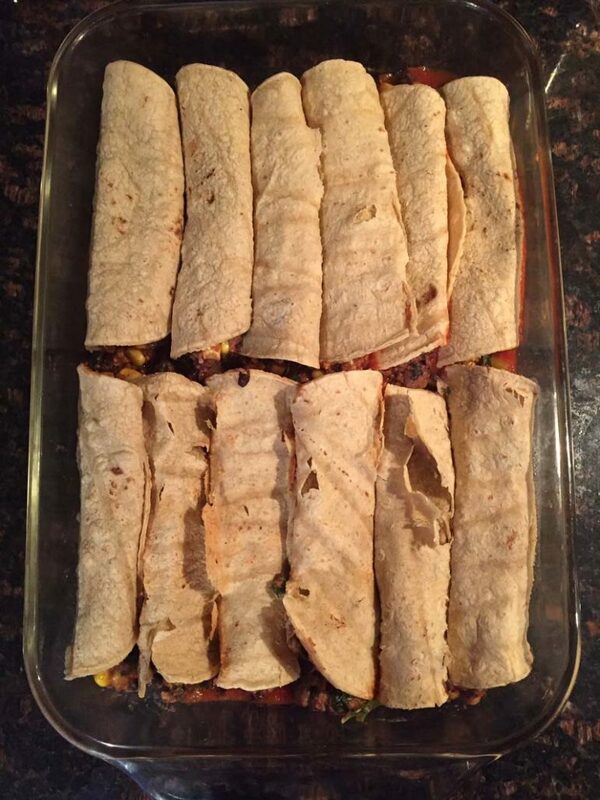 I also make authentic meat enchiladas recipe with ground meat, but this version of enchiladas uses black beans and corn instead of meat. 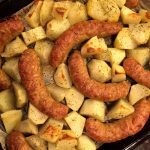 The result is just as filling as the meat version and just as tasty! 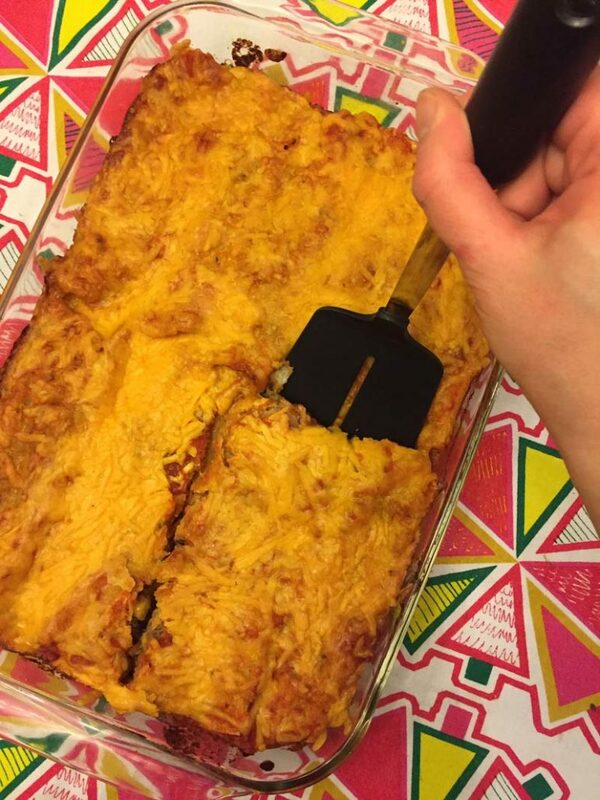 Even the meat eaters love this meatless vegetarian enchiladas recipe! 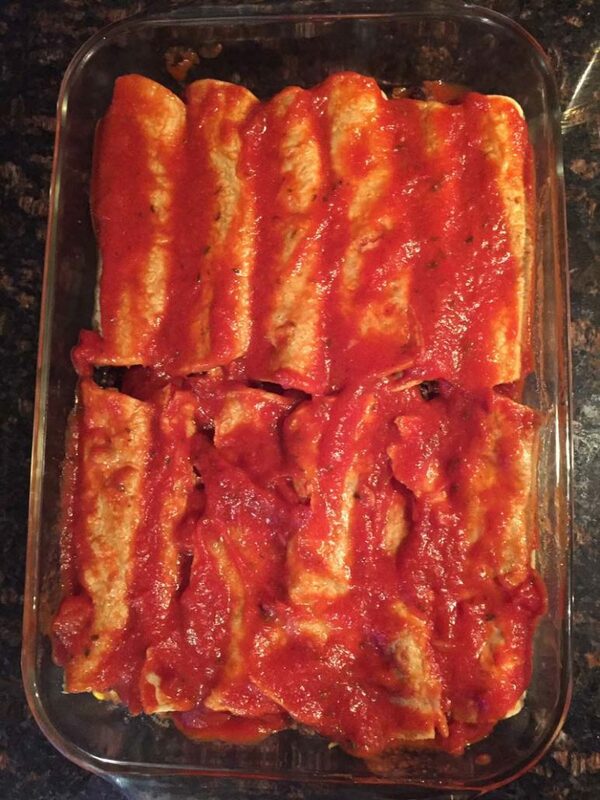 In fact, when I made the vegetarian enchiladas for the first time, my family didn’t even notice that these enchiladas were different from the beef version that I normally make 🙂 That’s because enchiladas are so full of flavor from the spices, tomato sauce and cheese that the meat flavor is never very pronounced. 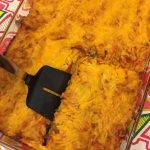 Try this vegetarian enchiladas recipe – I am sure you won’t miss the meat! 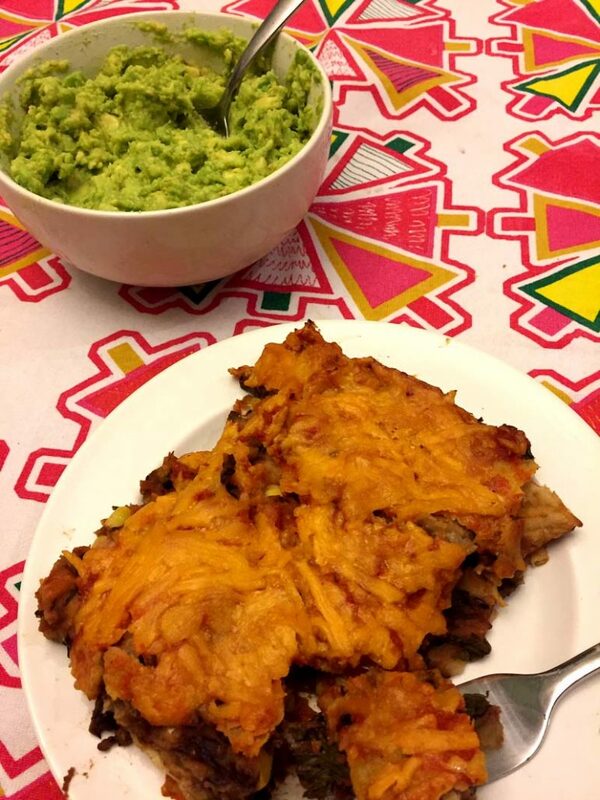 These black bean enchiladas are also freezer-friendly – you can freeze the whole thing pre-assembled in a baking dish and bake for 1 hour at 350F straight from frozen. 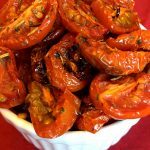 Or you can freeze it cooked – just cut into individual serving slices and freeze in ziploc bags, and thaw in microwave when ready to eat. 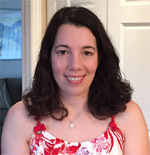 It’s so nice to have yummy Mexican food stashed in your freezer! Then bake for 30 minutes and enjoy! Mexican Corn Salad – yummy yummy, this cheesy spicy corn salad is irresistible! Mexican Hot Chocolate – so rich and smooth, its like a liquid chocolate in a cup with cinnamon and spices! Mexican Chicken Fajitas – super easy 15-minute one-pan dinner, healthy too! 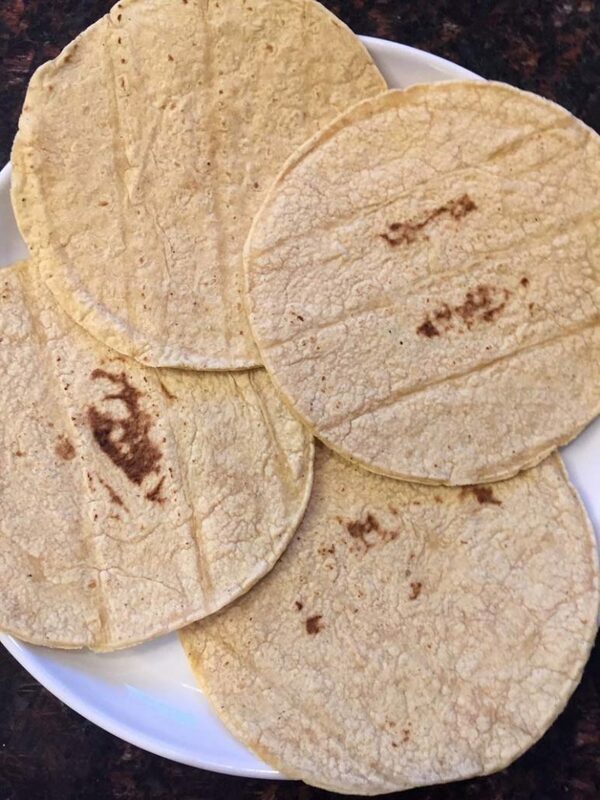 Flour Tortillas From Scratch – these are so good! You’ll want to eat them all up, hot from the griddle! 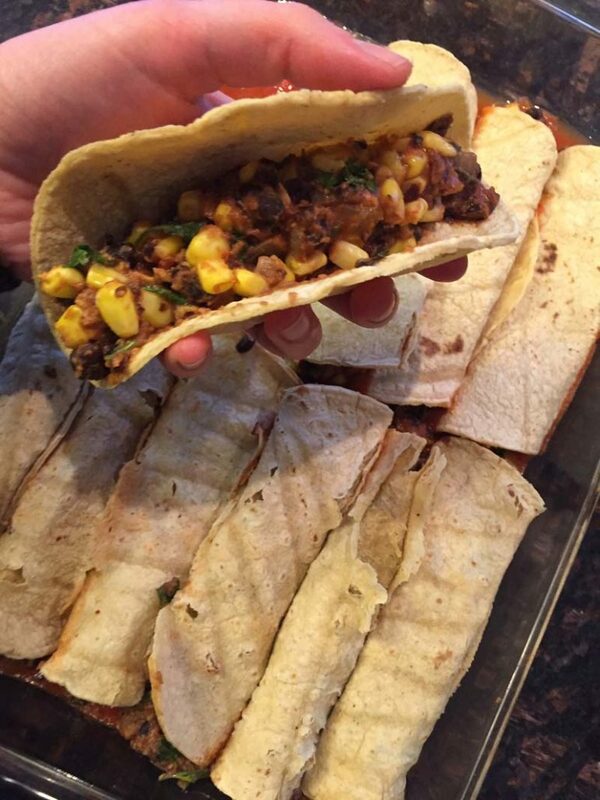 Baked Tacos – this is a perfect way to make tacos for a crowd! 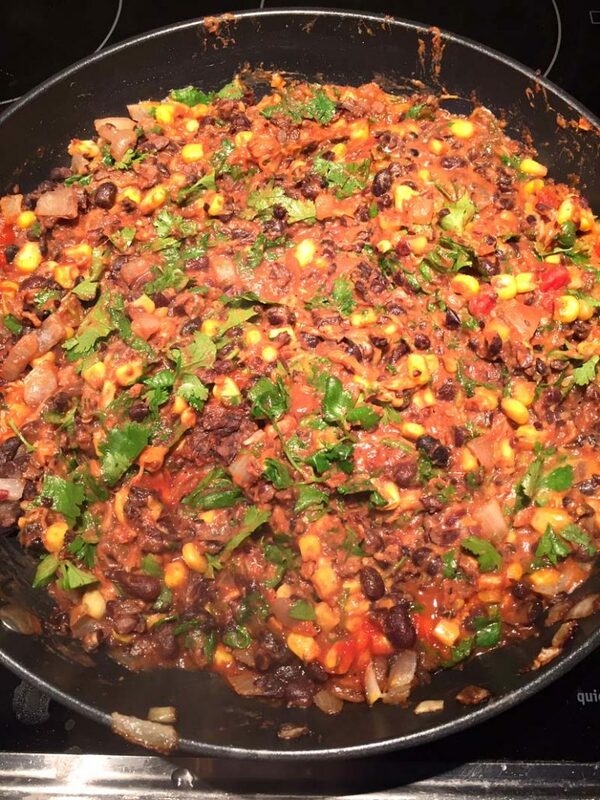 These black bean enchiladas are amazing! Taste just like the ones in the Mexican restaurant! 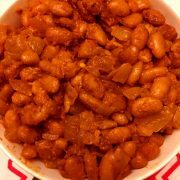 This is a complete vegetarian dinner, so yummy! Add the onion and cook, stirring occasionally, for 5 minutes. 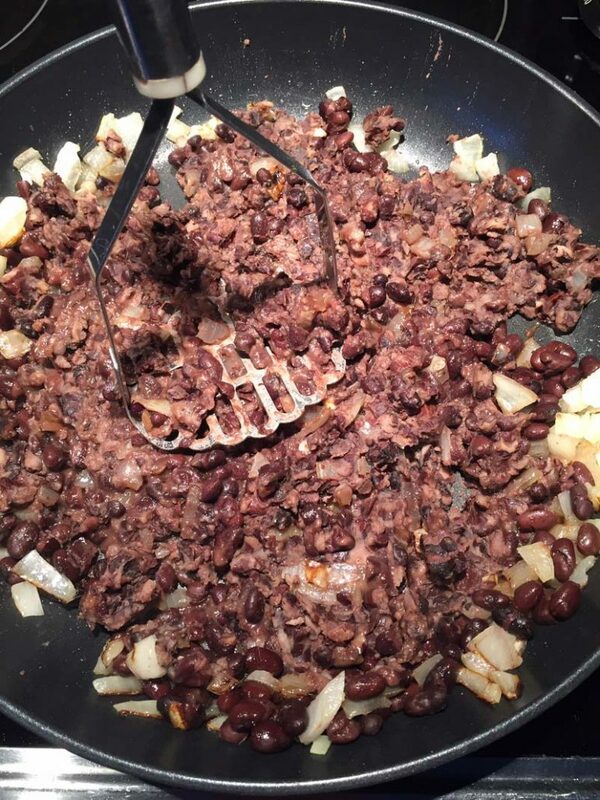 Add the black beans and mash them a few times with a potato masher, so they are broken up but not mushy. 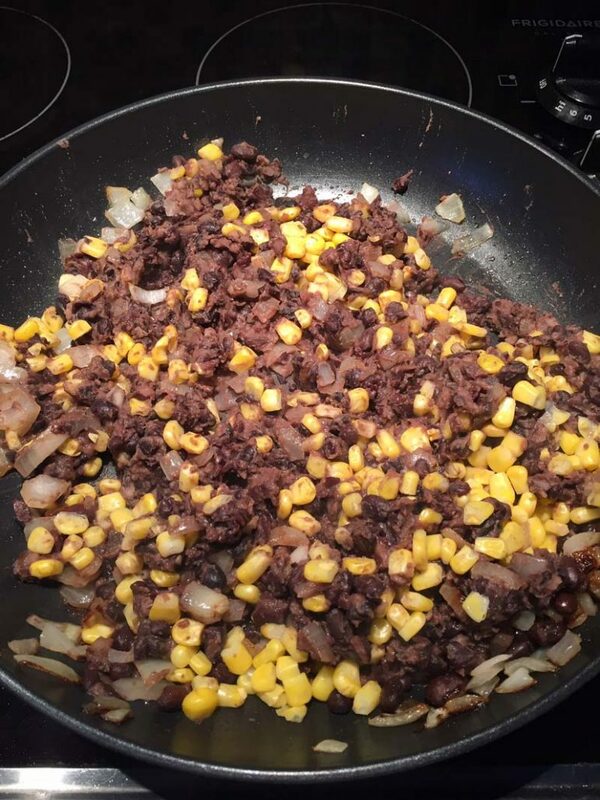 Add corn, cilantro, garlic, chili powder, cumin, 1 cup of cheddar cheese and 1 cup of tomato sauce. Mix until combined. 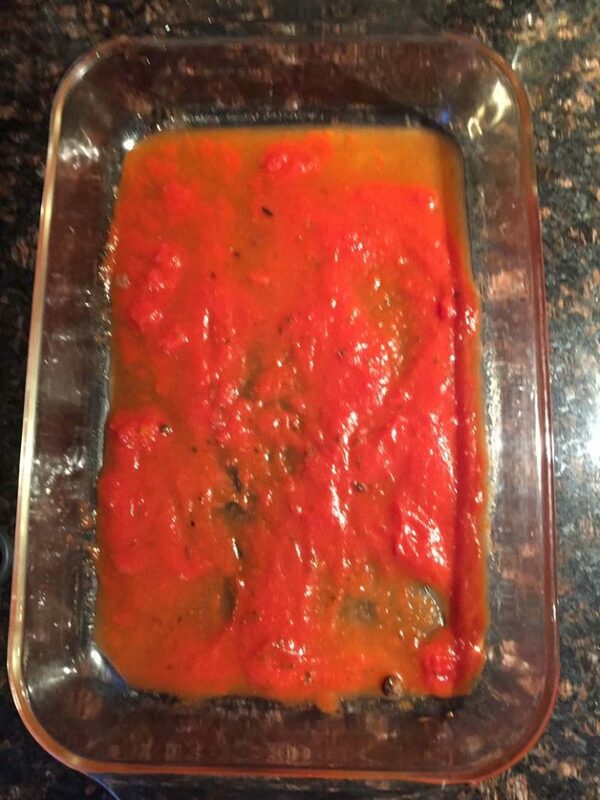 Spread 1/2 cup of the tomato sauce on the bottom of an 9x13 non-stick baking dish. Divide the filling mixture in the frying pan into 12 equal parts. Put 3 tortillas in the microwave and microwave for 30 seconds to warm them. Roll the enchiladas: put one part of the filling into a tortilla and roll into a roll. Put the roll seam side down in a baking dish. Continue rolling the enchiladas, first warming the tortillas in a microwave 3 at a time. 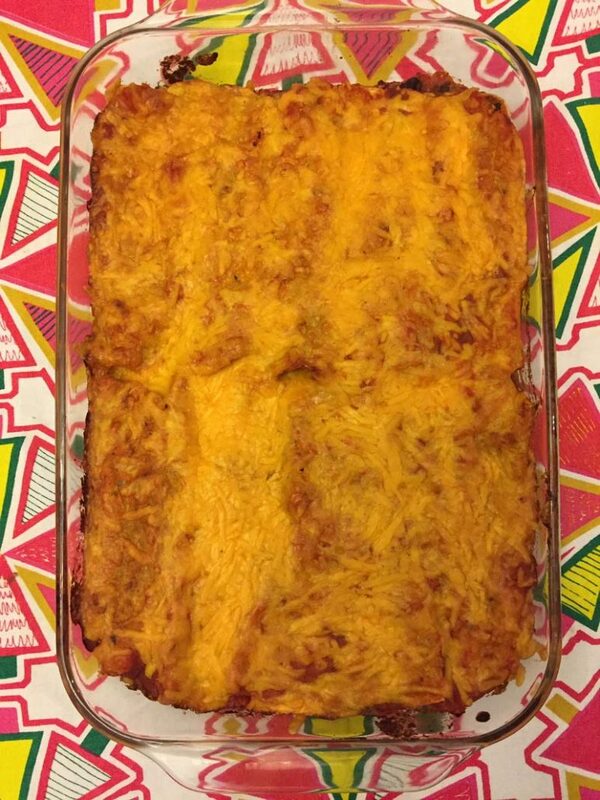 Put the enchiladas next to one another in a baking dish. 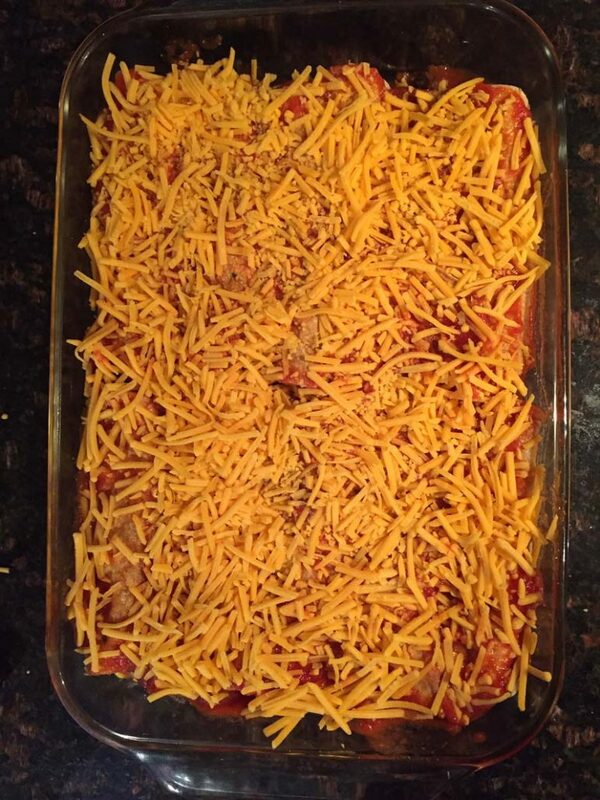 When all the enchiladas are rolled, pour the remaining tomato sauce over them and sprinkle the remaining cheese. 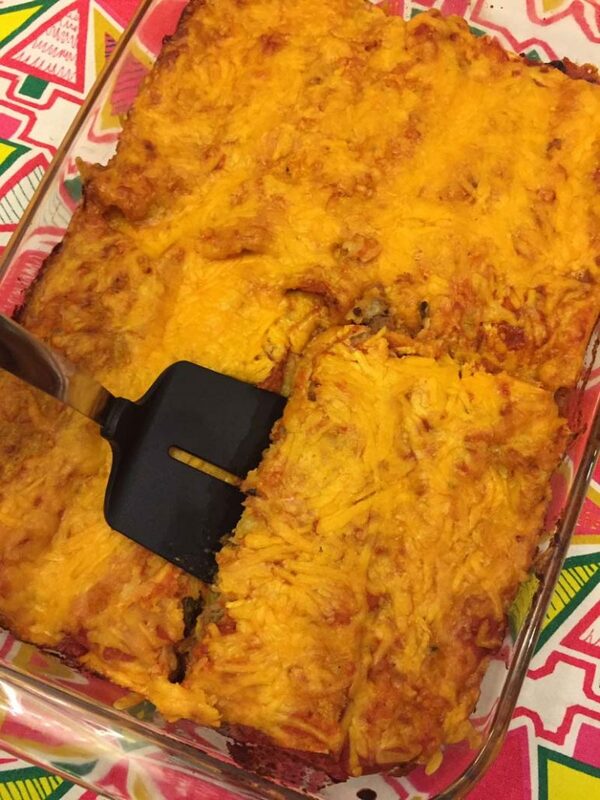 Put the black bean enchiladas in the oven and bake for 30 minutes.